At least four people have died and 20 more were wounded after a car ploughed through crowds outside the UK parliament. After the vehicle came to a halt, a man rushed out and stabbed a policeman at the entrance to the building before being shot dead by other members of the security team. The policeman is believed to be among the victims, despite attempts by his colleagues and an MP to save him. Police are investigating the incident as a “terrorist” attack”. Prime Minister Theresa May was declared “safe” and is due to chair a meeting of the government’s emergency committee. 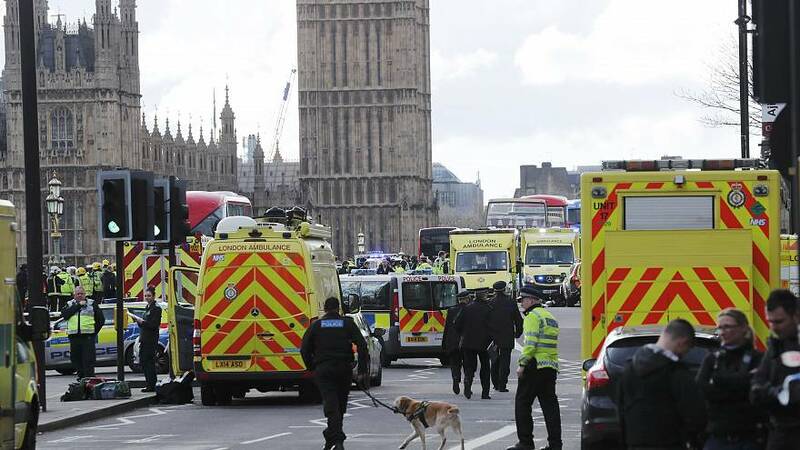 Witnesses described how the car zigzagged on and off the pavement as it mowed down pedestrians who were trapped by the stone railings on the edge of Westminster Bridge. One woman was later rescued from the river with serious injuries. At least three French six-form students are among the injured. 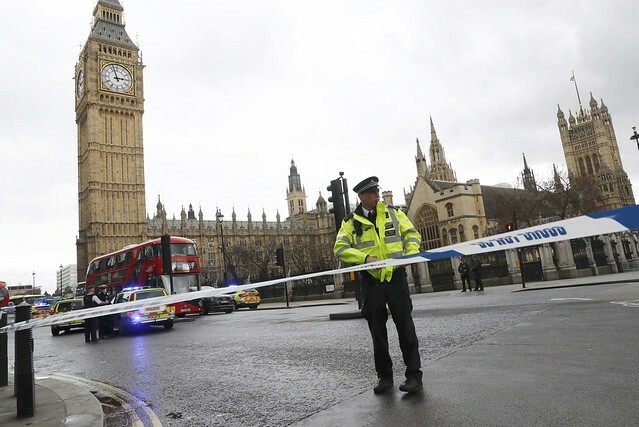 The leader of the House of Commons, David Lidington, made a statement saying the premises were in lockdown.